What is Monte Belo Indicolite? Monte Belo indicolite is coveted for its beauty and rarity. The gem derives its name from the Latin word indicum, used for the indigo plant. Indicolite displays pleochroism meaning that it can appear different colors when viewed from different angles. Many gemstone specialists refer to indicolite as indigolith, meaning blue stone. Indicolite gemstones larger than one or two carats are quite valuable and those larger than four or five carats are extremely rare and expensive. These beauties are considered among the rarest of gemstones and also the rarest variety of tourmaline next to Paraiba. Tourmaline is one of the most colorful gemstone groups with varieties in green, red, blue, yellow, black and colorless. Some even display two or more colors at once. Is Monte Belo indicolite valuable? The value of colored stones is typically determined by a combination of its color, clarity, cut, and carat weight. This is no different when determining what Monte Belo indicolite is worth. These guidelines will help you choose indicolite stones for your collection. Monte Belo indicolite, also known as blue tourmaline, displays a swirling ocean of rich indigo and aqua with color that flows and shifts like a tumultuous sea as you view it from different angles. Depending on the amount of iron and titanium, the hue of the gem is often blended with a hint of green. Like green tourmaline the blue colors can be strong and vivid or less saturated. Monte Belo indicolite possesses Type II clarity and is eye-clean. The gem often comes with liquid inclusions that may occur due to hydrothermal activity during crystal formation. The most typical inclusions resemble thread-like cavities that run parallel to the length of the crystal. This effect can be seen in larger stones. Long hollow tubes often capped with minute mineral crystals are also common. If these are numerous, the gem can display the cat’s eye effect in cabochon cuts. A slight inclusion of this kind is commonly acceptable. Visible inclusions can lower the value of the gem. Monte Belo Indicolite is found in all faceted shapes like round, oval and pear cuts. Due to its crystal structure, step cuts, like baguettes, are also very common. Monte Belo Indicolite looks its best in smaller sizes, as the gem’s full potential of color display comes to the fore. While the intensity and vibrancy of color in a colored gemstone is its most important factor, the effect can become spoiled when the hue is too dark. The average carat weight for indicolite at Shop LC is up to one carat. Bigger carat sizes demand higher prices, and the difference in just one carat can almost double the price. Monte Belo Indicolite may undergo heat treatment to improve color. This treatment is stable with standard gem care. With a 7 to 7.5 rank on Mohs scale of hardness and fair toughness, indicolite is a great stone to consider for daily wear jewelry. Any type of jewelry setting works well with this gem. Sudden temperature changes can cause fracturing. It is resistant to abrasion, and not likely to scratch. Its stable under exposure to light and chemicals. Wear indicolite jewelry with confidence, as this stone is low maintenance and easy to clean. A simple solution of mild dish soap and lukewarm water, plus a soft bristle brush is all that’s needed. Rinse with fresh water after lightly scrubbing your gem or jewelry piece. Dry gently with a soft cloth. Store Monte Belo indicolite in a fabric lined jewelry box to avoid damage when not worn. This helps preserve your stone for years of enjoyment. Who Can Wear Monte Belo Indicolite? If you have an affection for a cool and dark color palette then indicolite is the gem for you! A pleochroic gem, it can flaunt a deep blue, greenish blue or aqua color, depending on how it’s viewed. Indicolite is a great pick for those who want to add a soothing and classy glimmer to their look. 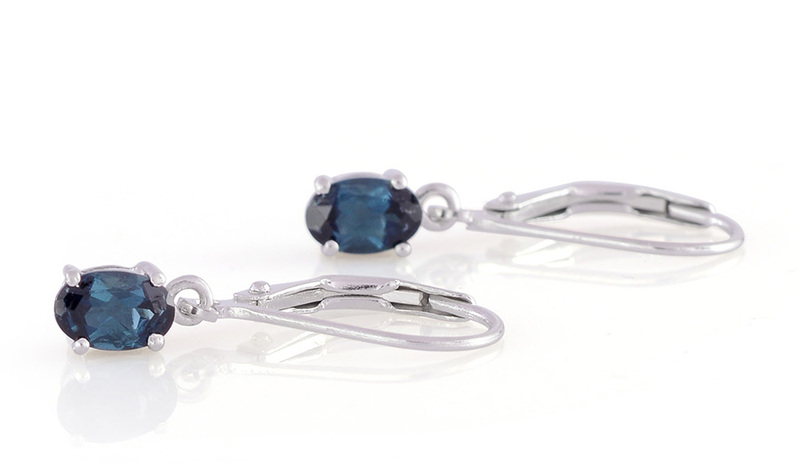 The gorgeous indigo color of this gemstone makes an excellent companion with soft whites or velvety reds. The gem’s hardness and low maintenance makes it ideal for any jewelry piece be it a ring, bracelet or earrings. Tourmaline of all types are the traditional gift for the eighth wedding anniversary. How Does Monte Belo Indicolite Compare to Other Deep Blue Stones? Monte Belo indicolite flaunts lovely light to dark blue colors. The gem is coveted for its rare pure indigo blue color, but this gem’s blue green hue is more readily available. 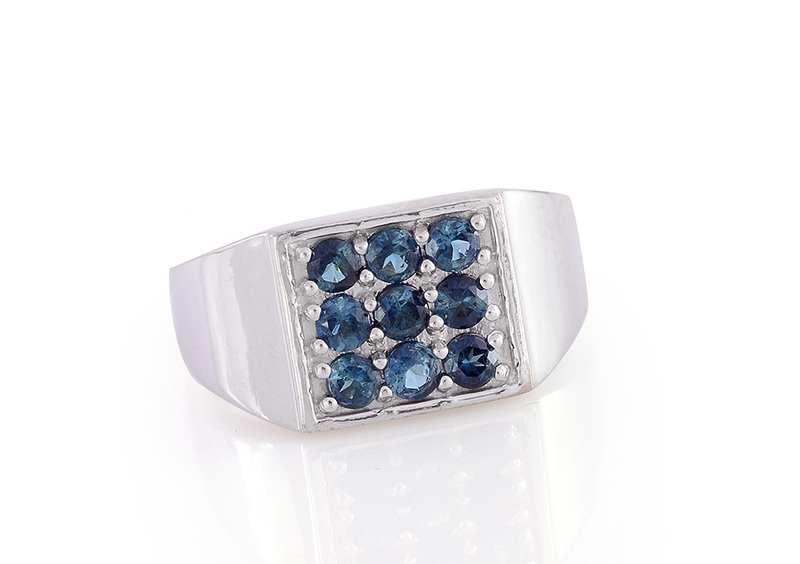 This brings comparisons with gems like sapphire, blue spinel, blue diamond and London blue topaz. 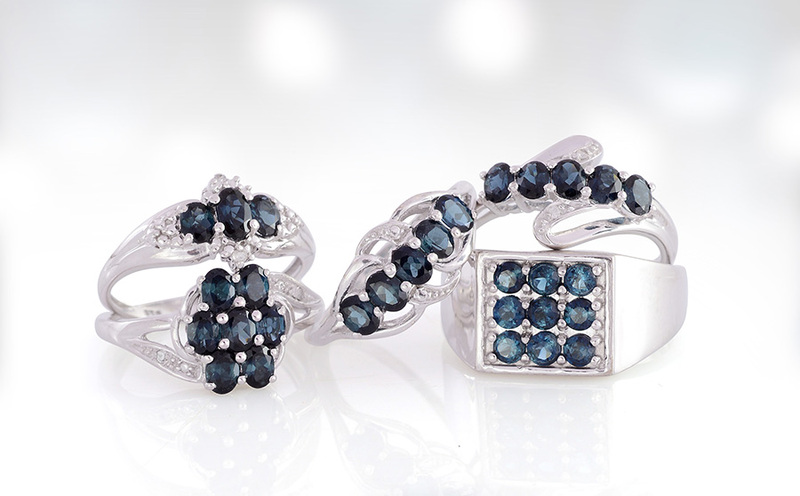 While all these gems possess a rich dark blue, indicolite’s blend of greenish blue sets it apart. Where Does Monte Belo Indicolite Come From? Brazil is the world's leading source of tourmaline. During the 1500s Portuguese explorers obtained green and blue tourmaline from indigenous people and from panning streams in search for gold. They mistook these colorful stones for emeralds and sapphires. This error was corrected by the 1800s and modern gemological understanding. A steady stream of tourmaline discoveries have been made in Brazil, and a diverse stream of tourmaline gem material have supplied the gem and jewelry market. How is Monte Belo Indicolite Mined? Major indicolite deposits have been discovered in Brazil dating back to the 19th century. It is considered one of the finest stones to come from Monte Belo in the Minas Gerais region and has acquired legendary status in the gem world. The rough comes in elongated, stick-like forms. It is difficult to cut as the required thickness and larger roughs are scarce. The elongated shape of many tourmaline crystals impacts the shape and proportions of the finished gem. As a result, there are many narrow, non-standard sizes available. The crystals are prismatic and often have obvious striations or ridges that parallel their long axis. Unique liquid fingerprint-like inclusions can significantly impact the yield of the finished gemstone. What Does Monte Belo Indicolite Mean? Tourmaline is believed to symbolize wealth, friendship and love. Indicolite is said to work on the throat chakra and reduce throat and bronchial infections. The gem is also said to enhance communication and help with difficulty in speech. 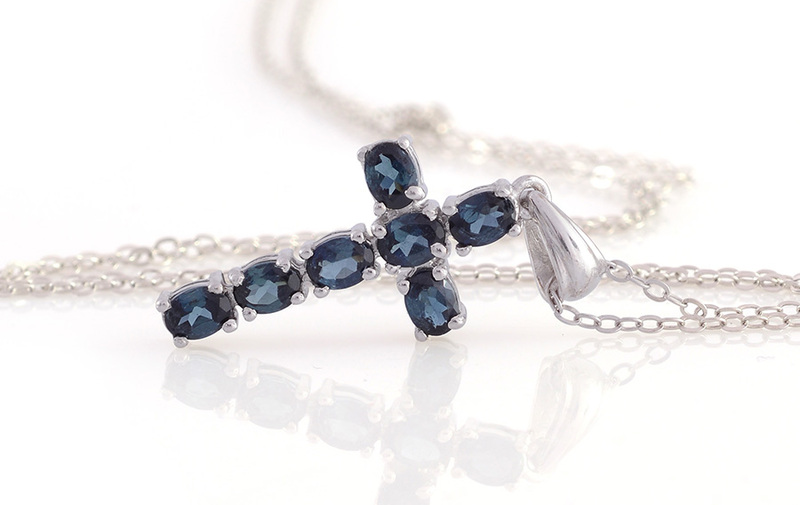 Blue tourmaline is considered to promote detoxification and strengthen the immune system. It is also thought to enhance your psychic abilities. Is Monte Belo Indicolite a Birthstone? Tourmalines is the modern birthstone for October. The mesmerizing deep blue of Monte Belo indicolite makes an excellent selection over the usual bi-color or watermelon tourmaline. Ranks 7 to 7.5 on the Mohs hardness scale. Colors range from dusty indigo blue to aqua with a vitreous luster. Indicolite may undergo heating to improve color. Also known as aqualite, blue tourmaline, elbaite, indigolite and indigolith.